For use with the 55 gallon drum refillable foam kits. It is sized for a 55 gallon drum with a built in thermostat of 160 degrees. 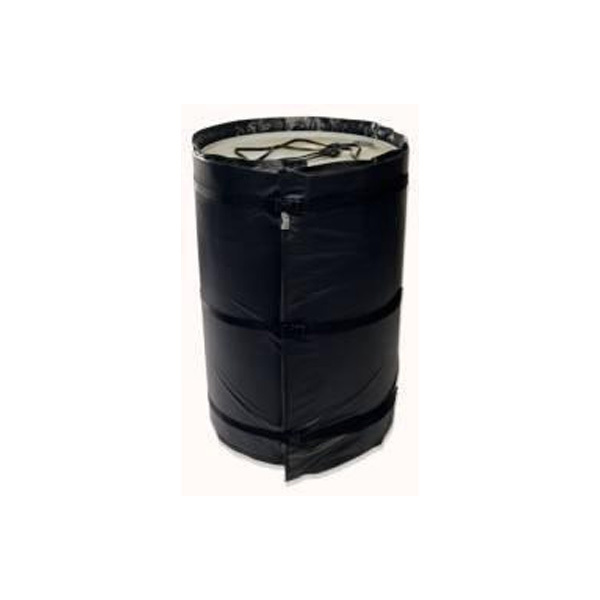 It comes with adjustable straps to ensure proper fit of larger or smaller 55 gallon barrels. The drum heaters come ready to use. Unroll, wrap around your barrel, and plug into any outlet. The blankets weigh only 13 pounds and wrap around the entire barrel. This produces a fast, even, consistent heat. The built in thermostat will ensure you don’t over/under heat your material. Each blanket has a 6 ft male end cord allowing five of these blankets to be plugged together on one single 20 amp outlet. Min allowable temp for guaranteed results is -40 degrees F with adjustable thermostat controller w/ heat probe.